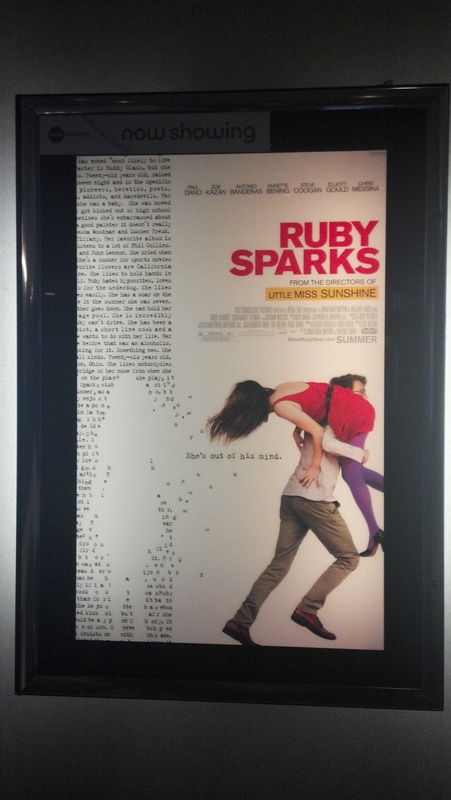 Ruby Sparks: a Sparkling Jewel or Flash in the Pan? There are two types of romantic comedies; the predictable ones that practically have the color by the numbers & the really good ones that make you forget you’re watching a romance movie. Enter independent film, Ruby Sparks. Under the directorial team of Jonathan Dayton & Valerie Faris, this recent indie release boasts an unusual premise performed by an interesting cast of actors. But on which side of the low-key rom-com fence will sparks fly? The characters are very down to earth & very much modern. But more importantly, the acting in Ruby Sparks was really impressive. Paul Dano has come a long way from playing supporting small supporting roles in his first gigs on TV sitcom Smart Guy & The Girl Next Door. Here, Dano shows that he has the talent to lead a movie as he does a superb job of capturing the emotional depth necessary to play the lead role of Calvin. Zoe Kazan does a good job of playing Ruby Sparks. Like Dano, she’s able to play a wide variety of emotions. While Kazan plays some emotions better than others, she is able to get the job done playing the title character. Comedic relief comes in the form of characters played by Steve Coogan (of The Other Guys), Annette Benning (The Kids Are All Right), & the illustrious Antonio Banderas. The acting only showcases the brilliant writing by Ruby Sparks herself, Zoe Kazan. While the basic plot premise seems like a guy’s dream come true, there is a little something for everybody. There’s humor, heart, but importantly a moral. The whole movie is a brilliantly conceived commentary on romantic relationships while still being entertaining. What’s great about this movie is that it avoids the trap of the standard romantic comedies, making it a real story, despite the extraordinary matter in which they meet. The language may be a bit spicy for some & the story loses steam as it approaches the climax; but everything comes together to make a pleasant end to this modern whimsical love story.